Pre heat the oven to 180 degrees celsius fan bake – line a loaf pan with baking paper. In a bowl, beat the eggs, then add the butter and maple syrup. Mix well. Add the mashed bananas, walnuts, Greek yogurt, baking soda, vanilla and salt, mix well. Add the gluten free flour and mix well. Pour the batter into the loaf pan and bake in the oven for 50 minutes. To make sure it is cooked through place a knife or toothpick into the cake before removing from oven. If the knife or toothpick comes out clean, it is ready! Let the bread cool on a wire rack before serving. Is best served warm and crispy from the toaster with butter. 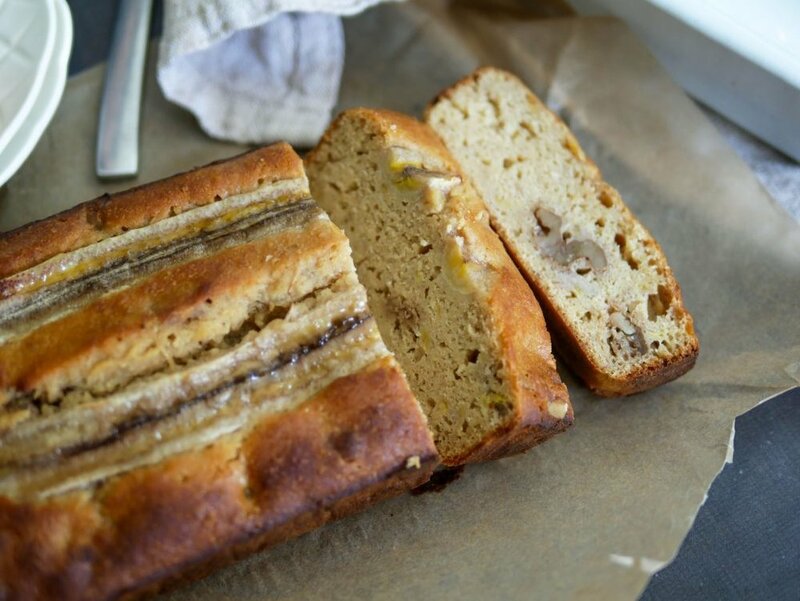 Finally a banana bread recipe that isn't full of refined sugar! 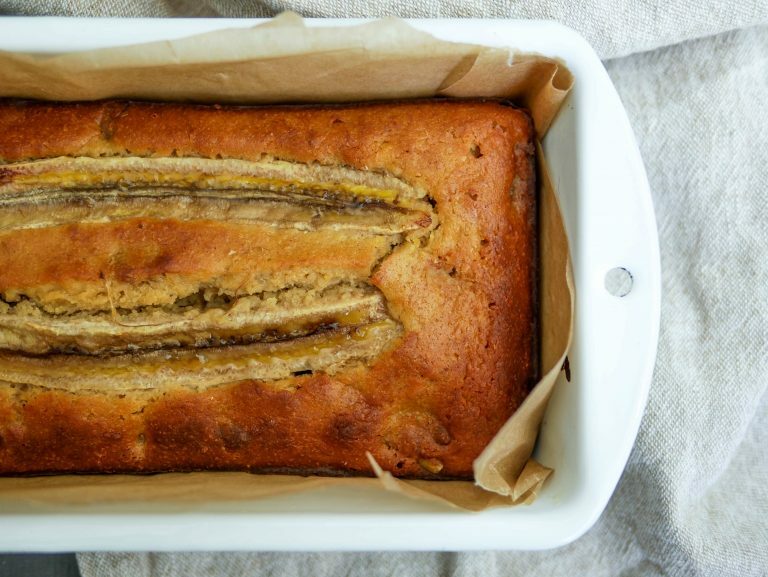 This recipe is sweetened using browned bananas, maple syrup and vanilla. Its also great the next day as the sugars in the bananas continue to release and make the bread even sweeter and moister. Yum! This is a great recipe to make at the beginning of the week so you have something to take for lunch or have toasted at breakfast time with a dollop of butter. It can also be served with peanut butter, homemade jam, honey, maple syrup or whipped cream.